Nasi Lemak Ujong Pasir is one of the longest standing nasi lemak berlauk stalls in Melaka. Interestingly, it operates in a Chinese coffee shop which also houses a couple of other Malay food stalls. 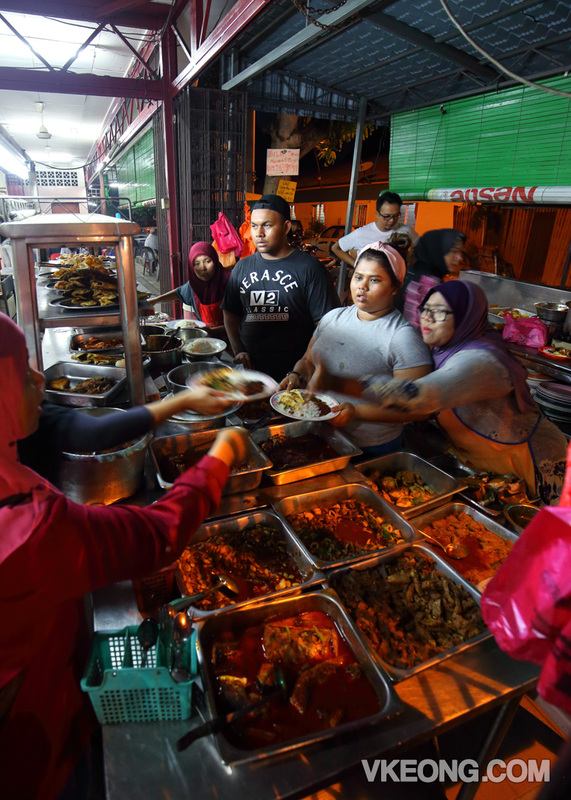 A standard plate of nasi lemak here comes with a good serving of sambal, kangkung (it’s a Melaka thing) and omelette, and you can also opt to top up additional dishes for a more satisfying meal. More than a dozen of curry and fried dishes of meat and seafood are offered here. 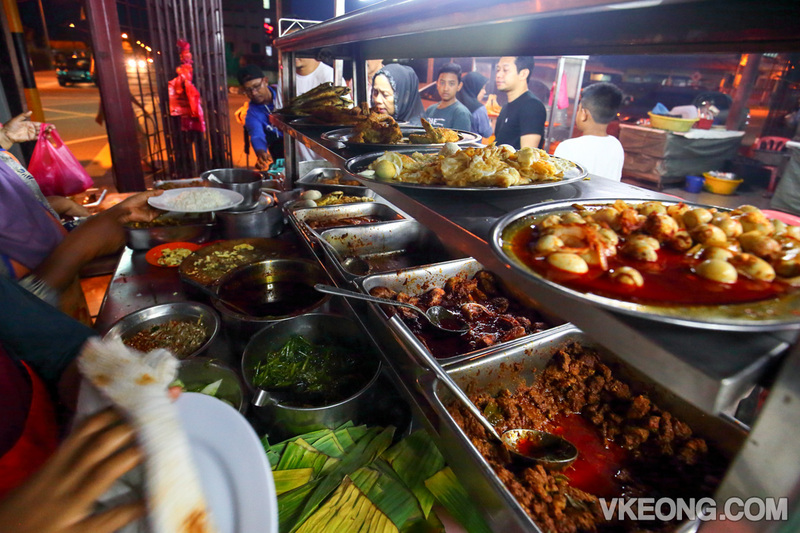 Some of the more popular items include sambal petai and prawns, sambal prawns, cockles, fried fish, chicken and beef rendang. Despite the onslaught of customers, the line moves fast because 5-6 workers are present to handle the crowd. Even if you are at the end of the queue, it would take at most 5 minutes before it reaches your turn. But it is generally a good idea to scout the available dishes first so you won’t miss anything, and know which to pick. To share, we piled the plate with extra sambal udang and kerang which cost RM10. For some Malaccans they might feel this is expensive, but when I look at it I could barely see the rice underneath. So I would say the price was alright. Not cheap, but still value for money. Taste wise I am glad to say that it did not disappoint at all. The sambal had a rich consistency and spicy kick, as opposed to those generally sweet and diluted types you get in KL. 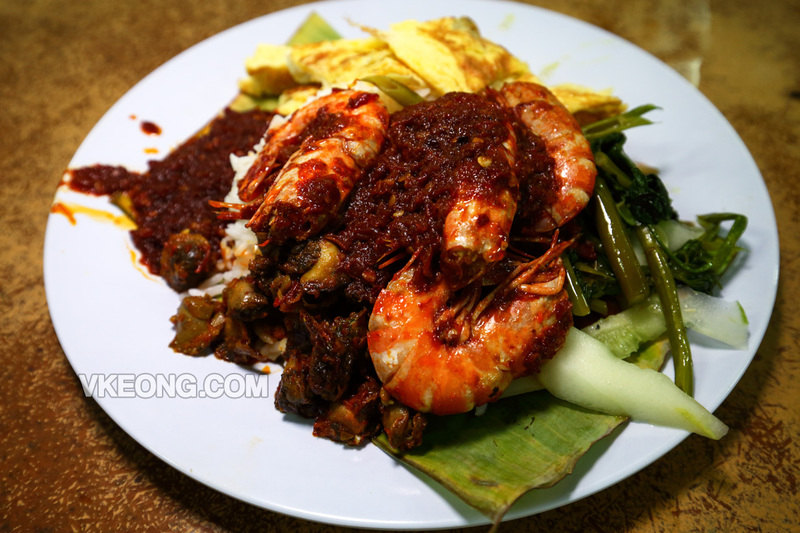 The seafood dishes were absolutely delicious too, especially the sambal prawns. Quality of ingredients used is good, as they used fresh cockles instead of those peeled ones that come in packets. The best time to come would be between 6pm and 8pm when you would still have access to a fairly large selection of lauks. The only downside of eating here would be the lack of proper parking. But that’s pretty much an issue with most popular eating places in Melaka. 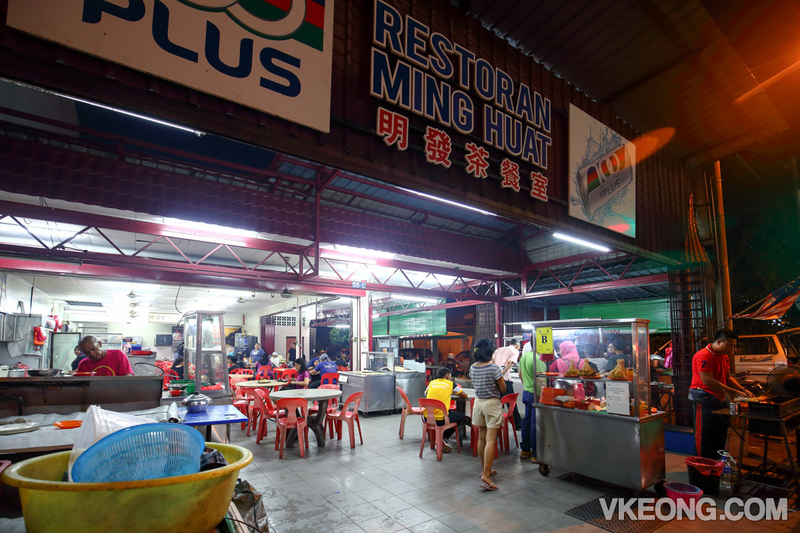 The post Nasi Lemak Ujong Pasir @ Restoran Ming Huat, Melaka appeared first on Malaysia Food & Travel Blog.